Identifying the quality stocks that are on sale can be easy if you have an evidence-based system to help you. The FALCON Method is an all-round investment process that relies on the principles of value investing, common sense, and quantitative discipline. The goal is to construct a buy and hold portfolio with a focus on both income and total return. All the steps are backed up by factual evidence as you’ll see below. 1: The Quality Criterion: Go for the true and tried! 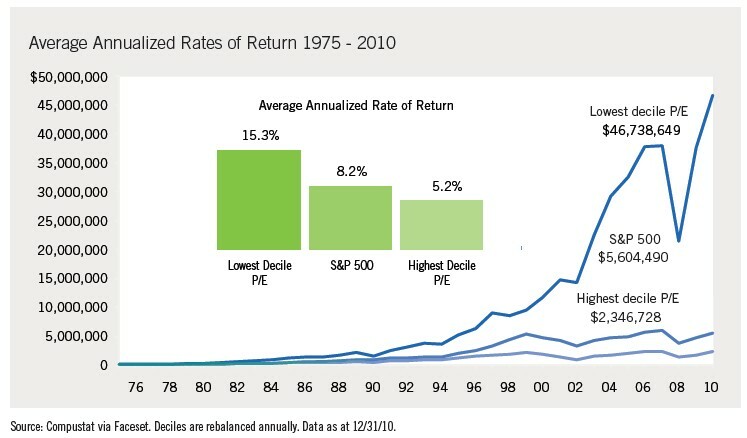 Common sense idea: Only invest in top quality companies that have stood the test of time. These businesses have great internal economic fundamentals and long-term track records for performance and excellence. As a long-term investor aiming for wealth building and reliable passive income, you should go for the wonderful companies instead of the mediocre ones. Rule: Stocks must have at least a 20-year immaculate dividend history–meaning no dividend suspension or cut–to qualify. If a company has been able to pay growing dividends for decades, it’s a sure sign of its consistent earnings power. Taking this argument one step further, it is no surprise that companies with these characteristics tend to outperform. “We have also examined the 10 highest-yielding stocks among those that have not reduced their dividend in the last 15 years. A period of 15 years was chosen because that means the firm must have passed through at least one recession. 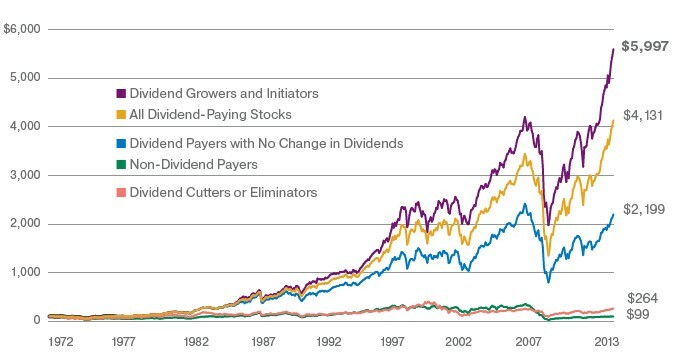 Managements that have not cut their dividend have demonstrated the consistent earning power and strength of their corporations.” Prof. Siegel found that these group of stocks tends to outperform. This simple strategy had a 15.68% annual return between 1957 and 2003 vs. the 11.18% of the S&P 500. We need a long dividend history so that we can test how the company’s management behaves when things get tough. 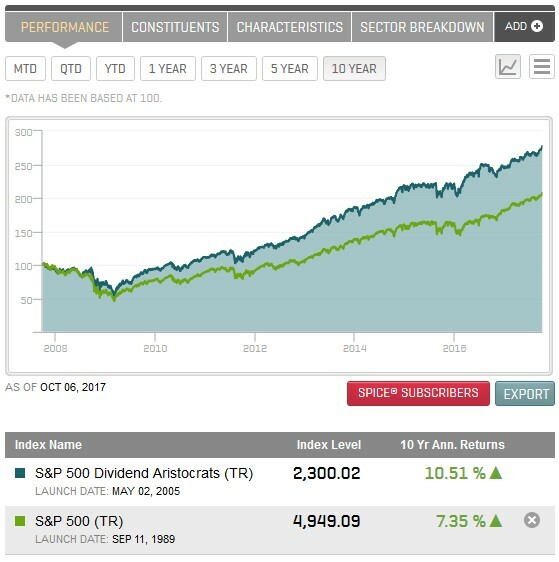 Siegel uses a 15-year timeframe, while the FALCON Method goes for 20 years of immaculate dividend history. Notice also that the professor simply picked the highest yielding stocks from his select universe, while the FALCON Method uses a multi-faceted approach (the components of which are all proven). 2. The Value Criterion: Buy them on the cheap! Common sense idea: Everyone loves bargain purchases. Buying top-quality stocks at low prices not only feels good but also leads to superior investment returns. Bargains are temporary as prices rise in the long-run (boosting our returns) to reflect the underlying quality of the businesses. 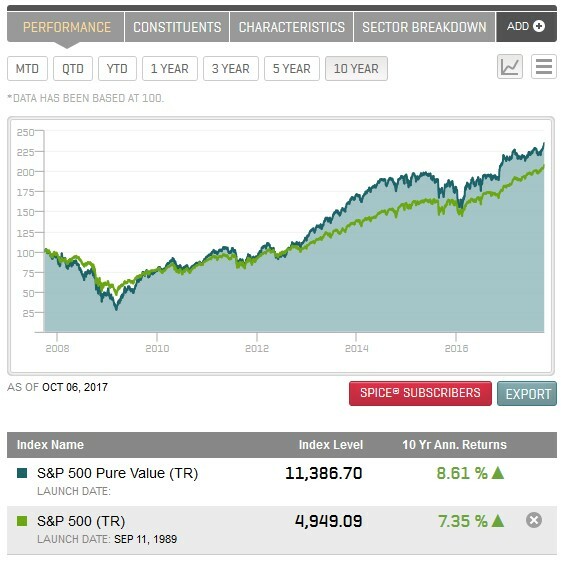 Evidence: Look at the performance stats of the S&P 500 Pure Value Index and the MSCI World Value Index and see that value investing outperforms in the long run. We also have historical proof showing the outperformance of the individual factors used. When examining the tables below, please notice that the longer the holding period the higher the probability of outperformance is with all the factors. An example, and your key to understanding these tables: If you pick 10-year holding periods from 1964 to 2009, the most attractively valued tenth of stocks (the Earnings/Price Decile 1) outperformed the market 99% of the time. The average annual excess return was 4.63%. All the tables below should be read in the same way. There was not a single 10-year period in the sample when the most undervalued tenth of stocks (based on cash flow to price) did not outperform the market. And the same is true for the EBITDA metric below. Using these proven indicators to gauge valuation levels and going for the historically undervalued quality stocks tilts the odds of success in our favor. 3. The Threshold Criteria: Are you getting paid enough? Common sense idea: For every dollar you invest you want to get the most possible money in return. Under a certain threshold, you are not that keen to invest your capital at all. Rule: Compare the price you pay for a stock to the amount of Free Cash Flow the company produces per share (FCF yield), the money it returns to its shareholders through dividends and buybacks (shareholder yield), and the dividend it pays (dividend yield). Taking the prevailing market conditions into account, set absolute minimum requirements for these three and only consider a stock worthy of your money if it meets all these three criteria. Evidence: The selection of the three indicators is logical since you demand that the company produces surplus cash, returns some of it to the shareholders, and makes dividends a considerable part of these returns. Besides being logical this selection is also evidence-based. See below, how all of these factors support outperformance. For additional evidence on this metric read the book Your Complete Guide to Factor-Based Investing by Andrew L. Berkin and Larry E. Swedroe. The authors elaborate on how investing in the stocks providing the best shareholder yield has outperformed both the market and the simple dividend-yield strategy in three out of the past four decades. The dividend yield also deserves a place in our system but it wouldn’t be enough on its own! James P. O’Shaughnessy finds in his book What Works On Wall Street that the dividend yield becomes much more powerful as a factor if used with a select group of quality dividend paying stocks only (instead of all the stocks on the market). Exactly how the FALCON Method does it. Rule: Rank the stocks that survived the previous steps based on yield-plus-growth characteristics. Instead of using an oversimplified indicator like the popular Chowder number employ a weighted multifactor quantitative ranking with yield-plus-growth numbers of different time frames. The higher the yield-plus-growth rank, the better. Common sense idea: No matter how good a stock looks in a ranking system if you don’t feel comfortable investing in it you will have a hard time holding on when panic erupts. Only buy stocks that you intend to hold for the long-run. At this point, rules have already played their part and human judgment comes into play. No matter how much one prefers quantitative methods some things simply cannot be quantified, filtered, and ranked in an automated way. A few examples: Cyclical and non-cyclical stocks should be evaluated differently, while certain sectors have their specific metrics (like REITs). I would never sleep well without having a thorough look at how well the company employs its capital (I am looking for consistently high return-on-invested-capital) but I wouldn’t rank and eliminate firms based on this metric alone. Last but not least, I am also calculating what total return I can expect from the investment based on very conservative assumptions about growth and valuation multiples. This is a time-consuming and knowledge-intensive step that is only carried out with the stocks that seem to deserve it. As a result: The FALCON Method gives the list of Top 10 stocks that best fit the “quality merchandise on sale” description in any market environment. I also like to highlight my Top Picks from this list every month that may not be the stocks that are ranked highest since not all the qualitative factors are represented in the scoring system. This is a buy and hold approach so selling occurs rarely; only when a stock becomes extremely overvalued, or if it reduces its dividend. 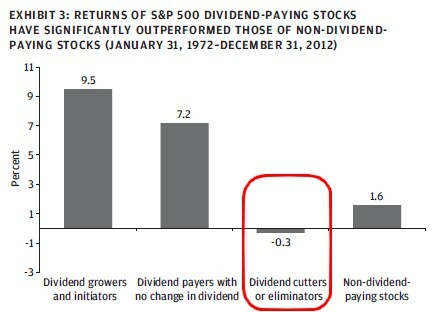 A dividend cut means that the investment theme is broken and action must be taken since dividend cutters tend to underperform. While a dividend cut is a clear sign, extreme overvaluation cannot be identified by a single metric like a P/E above 40. I always look at the historical ranges of the dividend yields and various valuation metrics and I only push the SELL button (and send out an alert about this decision) if most of the indicators point towards that direction. Stocks that became overvalued have subpar total return potential as the data shows so there is no reason to hold them. You can get the ready-to-use stock picks of the FALCON Method straight to your inbox every month if you give the Newsletter a try. Currently, there is a 7-day free trial, so you are truly not billed for 7 days. Have a look at the newsletter and if you don’t like it, just email me at david@thefalconmethod.com within the first 7 days and you can opt out without paying anything. If I were you, I would use the discount code that is included in this free guide to get the best deal. The newsletter comes with an easy-to-use one-page summary and it also includes the detailed analysis of the Top 10 stocks. You have everything there to start building your portfolio. If you have questions, email me and I will reply to you personally, in most cases within 24 hours. 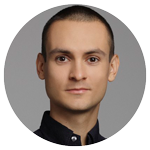 Want to learn more about the FALCON Method before giving the newsletter a try? Check out the book! Get my FREE Guide on Investing! Discover how to build passive income and wealth with the confidence that evidence-based investing can give you. This one habit changed my life! Hi! 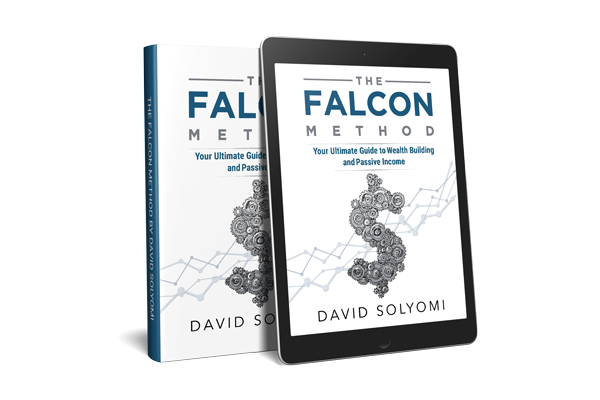 My name is David Solyomi, founder of the FALCON method. I help people invest their money utilizing the same evidence-based method that has set me financially free. You can read my full story here.